Entertainer and Boater&apos;s Dream House! This home was recently remodeled to combine the Sunroom with the Living Room, so there is ample room to entertain guests in the 25&apos; X 26&apos; Great Room that is open to the Kitchen and Dining Area. For outdoor entertaining, there is a beautiful Covered Patio that opens to the Swimming Pool and a Covered Boat Slip with a Lift. There is even a Poolside Cabana! The Kitchen has Stainless Steel Appliances, a Gas Range, Granite Countertops and a large Pantry Room. There is a Screened-In Porch adjacent to the Great Room with outside stairs leading down to the patio and pool area. Roll-up Hurricane Shutters that you can operate from inside are on all south-facing windows. The remaining windows and doors have attachable shutters. 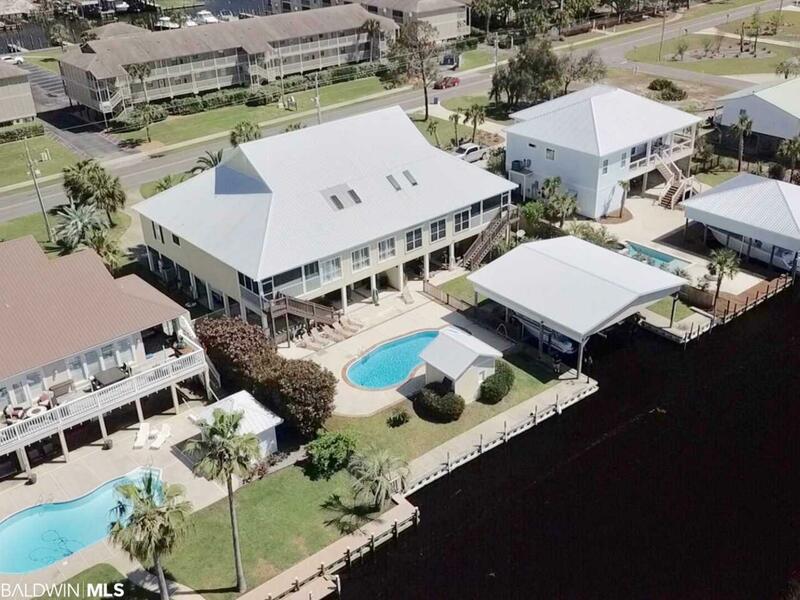 Orange Beach is a Boater&apos;s Paradise and you will be just a few steps away from a short boat ride to Robinson Island and the Gulf. Take a look at the 3D Virtual Tour of this home so you can see the layout. The stacked Washer & Dryer will be replaced with a side by side Washer and Dryer. Directions: From Perdido Beach Blvd., Head North On Hwy. 161 And Turn Right On Marina Road. House Is About .8 Miles On The Right. Unit B Is On The East Side Of The Duplex.